Today’s post is a review of the Slumberdown Airstream Mattress Topper. I’ve always veered away from trying a mattress topper. They’re renowned for making the bed very hot overnight and that wasn’t something that appealed to me or the husband. 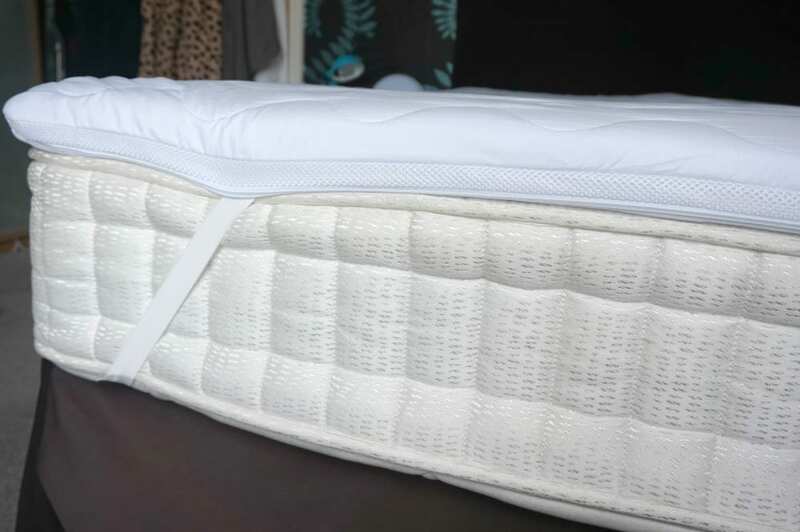 Now, that may be a bit of a myth, and quite likely it’s a hangover from the early days of mattress topper’s being released onto the market, so when I was asked to try a new product it sounded interesting. Slumberdown’s Airstream Mattress Topper is completely different to your typical memory foam mattress topper, and we’ve been trying one for the last couple of weeks. My initial impression is that it’s made a wonderful upgrade to our mattress and I love getting into bed. It’s comfortable, soft yet firm and definitely not too hot. It’s added an extra layer of luxury to our bed and I’m really impressed. Slumberdown have developed the Airstream technology. The special fibres inside leave lots of room for fresh air to run through, preventing the build up of heat, whilst the Airstream® mesh side panels provide a constant supply of clean, fresh air. Neither of us have noticed any difference in heat or temperature and have been extremely comfortable whilst sleeping. On my double bed it was really straight forward to fit, with elasticated corner straps holding it in place. It doesn’t seem to have moved or wrinkled at all since it was fitted. It seems to have taken on our body shapes a little and dipped on each side, but the instructions say this is normal and to keep turning it every few weeks. It will eventually thin out from its original 6cms of depth. Other perks which attracted me were both its non-allergenic properties which help my asthmatic husband, and the generous depth which help my aching back, keeping the spine straight all night long. It’s easy to move around on (apparently memory foam is a little harder?) and gently adapts to any shape. Finally, it can be washed at 40 degrees, although I’ve not tested this yet. It will be interesting to see how it looks after a wash and tumble dry, but equally this appeals when you have allergies and asthma. The Slumberdown Airstream Mattress Topper is available at Argos and a double retails at £59.99. I’m very impressed. 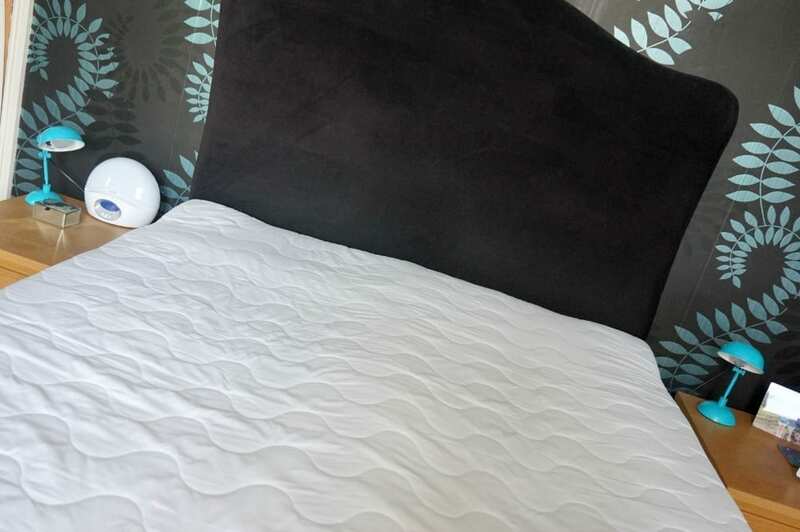 It’s given our bed a new lease of life, is extremely comfortable, and definitely alleviates the problem of overheating when asleep. 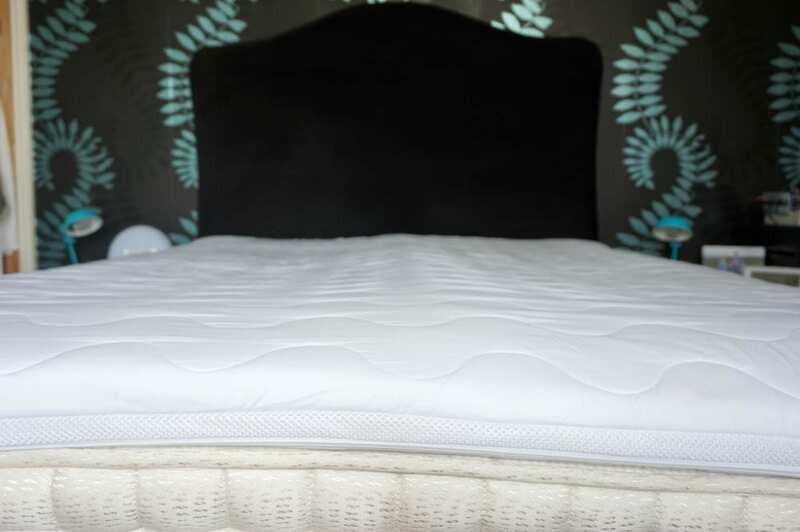 I was gifted the mattress topper but all opinions and comments are genuine and honest, as always.